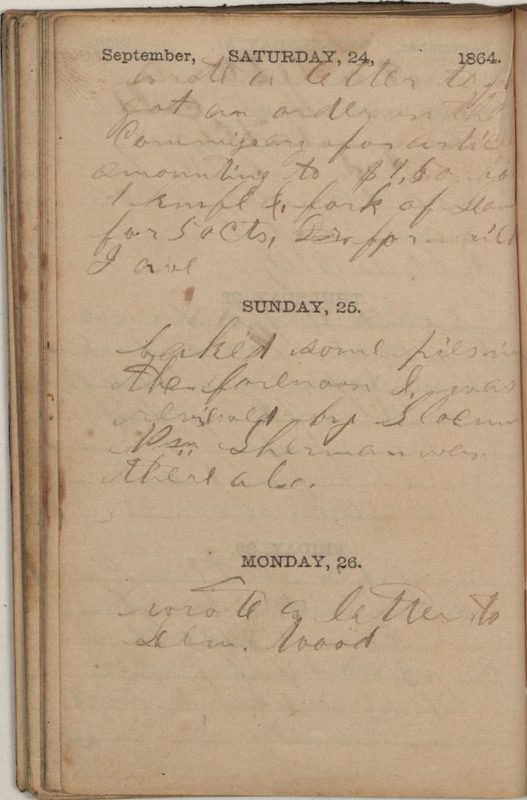 September, SATURDAY, 24, 1864. wrote a letter to [John?] got an order on the Commissary for articles amounting to $1,50 bot 1 knife &, fork of [Daniel?] for 50 Cts, [?